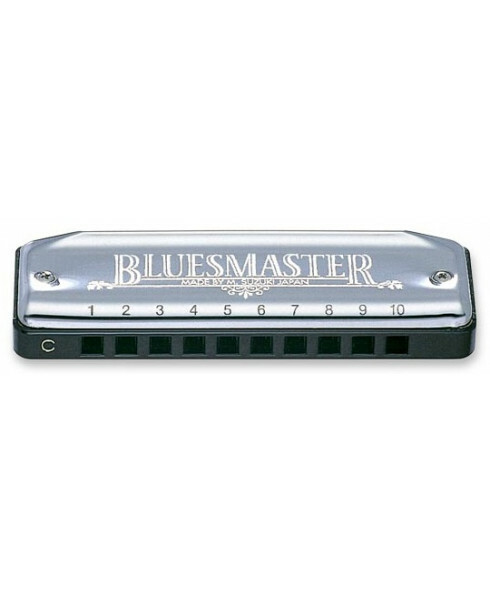 Combining the affordability of our popular Folkmaster with our world famous Promaster, the new Bluesmaster is an easy to play, easy to own professional harmonica. Stainless steel covers are durable and ergonomically designed for easy handling. Inside, Phosphor Bronze reeds and an ABS plastic comb give superb sound projection and tonal clarity. The rugged new Bluesmaster is virtually indestructible! Look good, sound good, feel good, with the Bluesmaster by SUZUKI.